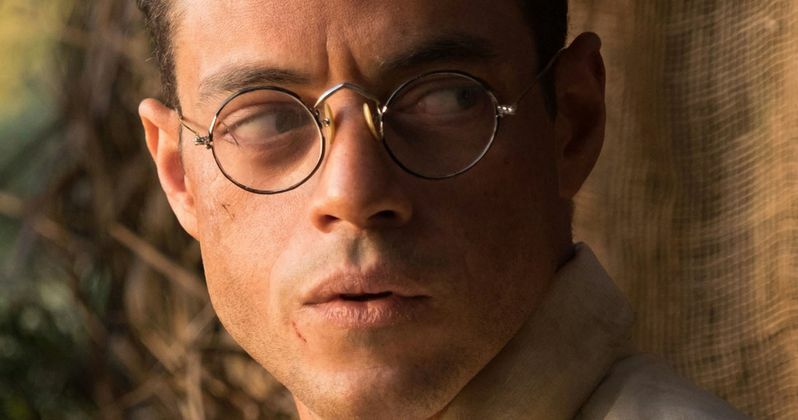 Rami Malek is reportedly in final talks to play the villain in the upcoming James Bond 25. Malek was rumored to take on the part late last year, but there hadn't been any other news about it since then, leading many to believe that it wasn't happening. At the time of the initial rumor, it was believed that Malek would be too busy with the final season of Mr. Robot to be able to participate, but that has apparently all changed, thanks to the actor's representatives. Sources close to James Bond 25 say that Rami Malek's representatives have figured out a way to have the actor pull off the movie and the final season of Mr. Robot with an accommodated shooting schedule. There reportedly is not a deal in place just yet, but considering that Rami Malek just won the Best Actor Academy Award for his work on Bohemian Rhapsody, he's about to get a pretty nice chunk of change to play the villain in the movie. As for who the villain is, that is very much a mystery at this point in time. Cary Fukunaga is directing James Bond 25 and it was recently revealed that the script is getting a major overhaul from top script doctor Scott Z. Burns. As for who Rami Malek could be playing, it has been rumored that the villain will be blind, which isn't a whole lot to go off from. However, it was also rumored that the movie was going to be based the 2001 novel Never Dream of Dying by author Raymond Benson. The author has since denied those rumors, but the blind villain keeps popping up. /james-bond-25-villain-rumor-rami-malek/Rami Malek is at a career high at the moment, thanks to the success of Bohemian Rhapsody. While the movie didn't initially do very well with critics, everybody latched on to how well Malek nailed his performance as Queen front man Freddie Mercury. The actor was able to get into character by watching hours and hours of documentary and concert footage until he felt that he was ready to jump into the project. Coming off of the biopic, it will be strange to see him in the villain role. James Bond 25 is finally set to hit theaters on April 8th, 2020. This means that production is going to have to start by this summer to prepare for the release date, which shouldn't be too hard, one would assume. Rami Malek has not officially signed on to work on the movie, but it appears that he is very close to signing on and joining the James Bond franchise. This will certainly add to the actor's already impressive resume. Hopefully some character details are released in the near future. The Rami Malek James Bond 25 casting news was first reported by Collider.